Add glamour to any outfit! Nothing screams elegance...wait, no, elegance doesn't scream. 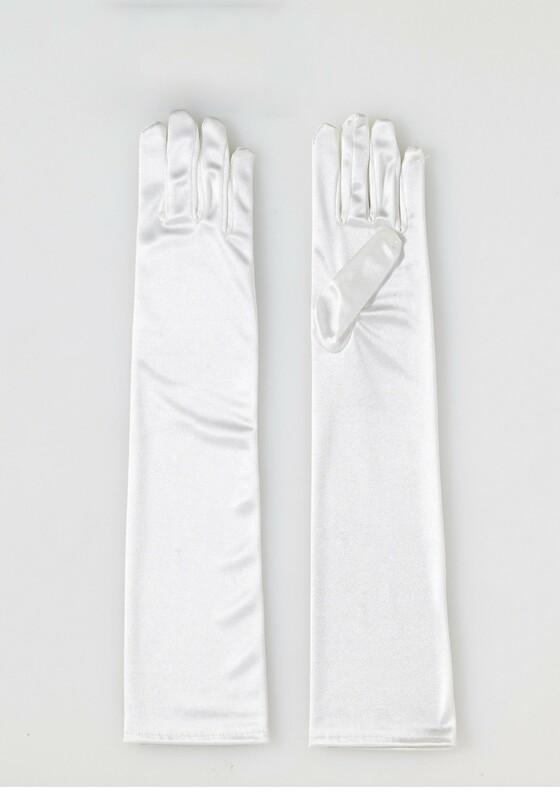 Nothing eloquently flourishes elegance (there we go) quite like the luxurious fabric of satin. It's smooth to the touch, and has a sheen like the rolling shine of silky waters. While we're helping you imagine this wondrous material, we might as well make that color white as well. The two just go hand in hand with wealth, and living on top of the world. Why? Well, because there are only so many people out there who can keep something as pure as snow that color for any longer than it is out of the box, and that's people who are rich enough not to have to do anything. Want to take it even one step farther? 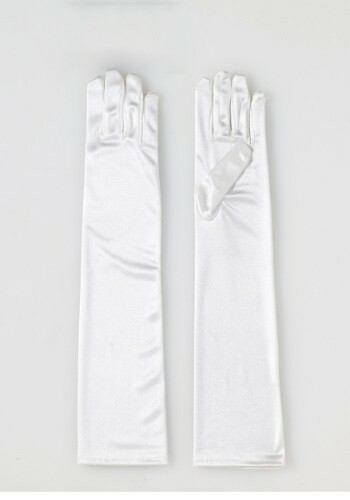 What about putting a pair of satin gloves on your hands and all the way up to your elbows? The sheer, smooth elegance emanating from every inch of you when they're paired with a lovely ball gown or flapper dress will be irresistible.